Rarely do you come across new preambles with a cheerier & simple philosophy than Tapri – Chai-Ki-Dukaan (the tea house). Being a digital marketer, foodie, and a photographer, the first thing I usually do to consider a restaurant is to hound the website. 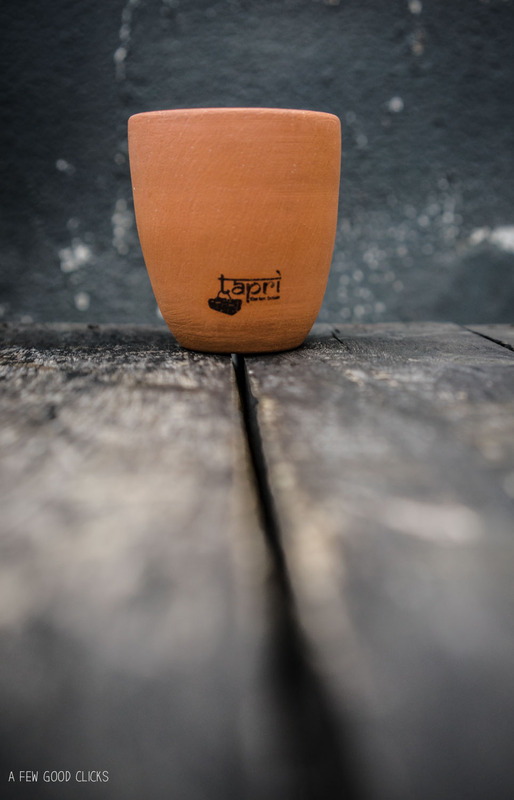 As it labels a modest and friendly attitude, I was pretty impressed by the way Tapri has crafted things. Well not so long ago, if you wanted to lurk around with friends and family over a cup of tea the options were restricted to either 5-star hotels or a handful of choices on M.I. Road in Jaipur. No, I am not talking about Michelin stars (are there any in India?) or an A category restaurants, I mean groovy and friendly outposts and perhaps that’s what made Ankit lay the foundation of Tapri. Located on the rooftop overlooking the lush greens of central park, this place really sets the tone where you can have fun with food and chai. The trip to India, this time, made me realize how the food scene is evolving in Jaipur. Locals are adapting to the new food, eclectic décor, and refreshing surroundings. Tapri – the pit stop - you cannot avoid when visiting Jaipur in India. It offers a collection of small eats themed on a Chai stall party, menu-highlighting dishes in hinglish (colloquial Hindi words jumbled with English) and most importantly gaze at the tricolor flowing proudly against the gorgeous backdrop of city lights. The menu – in my opinion – is a good mix of street food from across the sub-continent. It presents you with a sheer variety and edibility in Jaipur’s central location. The Views –Serene overlook of the city makes you chant so high, so high that I can shoot across the sky. Looking at the flowing tricolor is a poet's dream and you can really spend hours on a pleasant evening. Hip and literary, the indoor dining room ticks all the trends of a library where you can enjoy the most wanted cup of tea. The book shelves adorned with Tapri engraved teapots and cups through to the exposed brickwork and the red wall with paintings. I associate the settings with Chris Martin’s Hymn for the Weekend. The fuss-free food is served in environment friendly classic style plates cooked (beautifully) can get your tummy rumbling anytime: think Maggi, vada pav, daal pakwaan with kokum sherbet for a Friday evening grind; Kick start your breakfast on Saturday morning with delicious aloo paratha and it tastes celestial with fiery green chilli pickle followed by the evergreen poha. 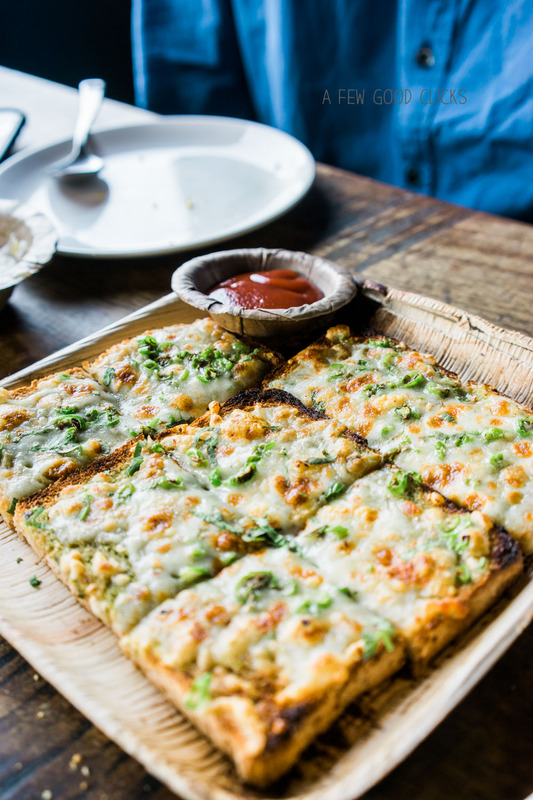 Add a twist of chilli - cheese toast to try the serious fusion eat. Tulsi Chai- The unquestionable showstopper, though, is your pot of Tulsi (Indian Basil ) Chai served in a Tapri pot perfect for two with the parle-g biscuit to dunk– a desirable start to your weekend spree in Jaipur. Non-alcoholic Cocktails -There are plenty of non-alcoholic cocktails like kokum drink, virgin mojito and masala soda to wash everything down. Hard question to answer as its little imperfections makes what Tapri stands for. But because the founders have well thought through this age old concept and made it accessible to meet the requirements of youth in Jaipur, I would like to give my two cents worth. The team members serving can be a bit more interactive and use this skill to cross promote, up-sell and make people feel part of the Tapri notion. The demeanour of service team somehow lacks the energy this place reflects. So next time I visit, I would like to hear more about the menu, local leprechaun stories or just a tad more excitement.